Clear Beauty™ Anti-Aging Cream is designed to Revitalize, Protect, Improve & Promote, Smoother, Younger looking Healthy Skin. Contains Dermaxyl™ – a new oligopeptide with clinically proven abilities to reduce the appearance of fine lines and wrinkles. Clear Beauty™ Anti-Aging Cream offers ultra rich nourishment and hydration for your face, neck and chest, with maximum absorption to all 7 layers of your skin. Don’t allow the signs of aging win. 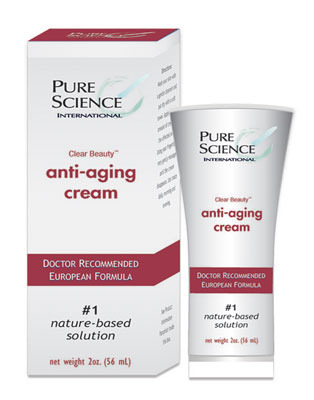 Clear Beauty™ Anti-Aging Cream’s advanced formula will truly make your skin smoother and more youthful looking.